BlueCharlye: Post 59 - I talk to trees. They talk back! Post 59 - I talk to trees. They talk back! How on the Earth can you not read this, and know we are not ALIVE and completely NUMBED to it? (Lacking the feeling received from senses, ability to recognise and feel life). A flock of birds, a shaul of fish, geese flying in a V, bees in a hive, ants collecting 5x their body weight leaves in a long line, birds flying South, cows or sheep in a heard, they all seem to know what they are doing. Do you believe in animal interconnectedness, or behavioural empathy? If you adopt small family additions, you should ideally adopt two (or more) rabbits or guineapigs to prevent them getting 'dangerously' lonely. Not to mention, a very large living area that must be cleaned very regularly and nutrition. Elephants have been shown holding their trunk rather than another tail if they want to hold a tail in a line. It is natural! You can't tell me just the opposite, not synthetic, like plastic material made things made out of plastic. If we look at Pocahontas (go watch the movie, the wording is very DEEP, and if you 'return to nature' the song lyrics and movie meaning will give you some reasons for anything you may need to later explain) the film shows that there is 'connectivity', like how in Avatar (another good movie, the one with the blue ETs) the trees were shown to have memory and a complex earthed network like a brain. My personal spiritual experience is that I can talk to trees, I hope you can believe me, I give them 'high fives' when I walk past them (you try it, completely use your mind, and trust that they heard) and I promise this is true, they can ask me to "look!" and one time, I looked at the tree and saw beauty because the sun was shining through the leaves and the tree wanted to 'give me a moment'. You can learn how to talk to them! Tree whisperer, hugger, green friend. I started talking to trees after watching the Video linked above. I gave some a hug, whispering nice things like 'I love you, Thank you,' etc. I started to hear their voices, in English, in my mind, yes in English! They were communicating with me! And they learnt a lot and all started talking to /eachother/ since I suggested they 'worked on self improvement'... So if you start talking to trees and opening up spiritually, that, could happen! You are not just thinking of natural colours such as tan, green, and browns but serious and aware about what trees are. If you would like 'to learn', it's easy. But recently (end of May 2018) the trees were told to stop talking to telepaths. It got a bit too much. It's hectic or chaotic if every tree you walk past asks for high fives and watering! So go litterally hug the tree down the garden saying comforting things, for 20 mins 1 time a week, see if it opens up to you. Pick a nice looking tree - it matches personality! Note that they don't speak to humans but talk with their roots in and under the ground, the soil is their 'home' like the air is what us 'animal movers' breathe. "Everybody Wants to Rule The World - Lorde" song. It is 'dark'. You do not want to rule the world, this is just greed, ego, your evil. The truth is that your inner world is far more important. You cannot control the world, if every individual thing has it's own mind - that is called 'controlling' and 'manipulative'! You are not that person. You cannot BE that person (to be, a calm 'humble' existence peace) but you yourself have power to fully control your body and decisions. What is the aim and purpose in life? To be one with nature and to communicate with it. Imagine a circle. There are already etheric circles around you and 'everyone' (everything is conscious)(even if You, your senses, are not conscious of it, Trust life, and learn what you have not been taught, there is a space for it) and, you find you are IN and ONE with it. 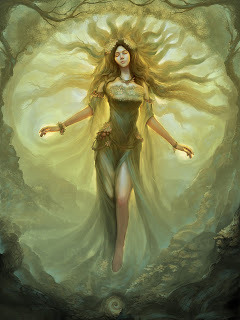 The mother nature being can speak and audify these conscious realms and thoughtwaves. The thoughtforms are now tangible. Speak to them, they will send back, FEEL for them! It's like breaking to your awareness that the mystery of fire, normally spoken of as a chemical compound in explaination but is Light, and a plasma, and is very hot not 'just because it is' but has the temperature to sustain it's form (of it's formation) - if nature speaks, study(silently look at, passively)/observe it, it speaks the answer, like an intuitive voice, intuition is a whole real superpower everyone can develop. It is how 'to know what you don't know' - and you really want that, right? To know truths about what is not taught but can be learnt. Please try it out. What if: trees know what we are speaking about, and, they have their own type of communication. My treehugging explaination is they have a network connected to their roots for communication. Emotions, and, many expressions, can be presented to other plants surrounding it, and deeper plants such as a big tree, can reach very far away plants, even beyond next door's tree line. 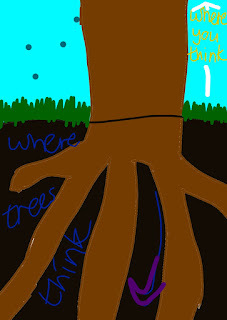 The trees communicate under the soil and metaphysicly with their roots. But their 'root chakra' like how humans have it above their legs mostly, is just about ground level and the leaves are like fine hairs that reach to heavens like crown/brow chakras. If they speak to you, your thinking may be wired up under the ground and still connected to your brain. They can send light images of themselves to your thirdeye chakra and even speak English, but you are on this fire(element of EWFA) or 'movement level' of above ground meaning it's different, confusing, and another type of world of thought to them. Big polluting cars are illogical, they hate tarmac and want the ground to be hummusy again. If you are starting to get it, and you think you do not know what is going on in the outer divided split world, let's dive out and see what we currently go by, would it be 'synthetic', another word for 'fake', on the other hand? I will tell you why it is so. But it is very depressing. Children (general humankind) don't know they are being used. Read on: But everything here is designed for you to be used! You are using yourself in your own little world, or finding the way out of the matrix to the heart use. Until then, consider yourself a sheeple. Manipulated by any hidden thing on this freewill planet of war. Sheepleville welcomes you? Or SAVE YOURSELVES. Work is a type of compromise I can't believe you actually agree to! You become 'wasted' and only saddened and feeling controlled By it, not being your own self. Working a job is truly, an uncontrollable slavery that takes You away, what you do IS you, you HAVE your own body Fully attached to you! You only take your own fun away by making bad life decisions. - what can be gotten away with? THEY WILL DO JUST THAT! When you "realise" like self actualisation that they take your mind away like an amnesia, and will manipulate your brain waves with insanely huge other level 'spiritual' technology, they will want to kill you, or if you fight it, desire you the torture worse than death, a thousand deaths of the psychopaths upon your bare naked delicate pure soul to deaden the resistence against them. Tell the others, know, with caution, that isn't holding back but bravely reaching out. Get everything you can. It's a terrible unfortunate truth, the fake lie, all the harmful things that they do. ARE YOU NOW AWARE YOU LIVE IN SLAVERY? Did you intensively research 'the Cabal NWO New World Order'? You can't get out of the maze, this is like maze runner. You must know about The Matrix, it's difficult not to be a used robot. You are just a puppet. When you really feel a knowing of this, you are a voodoo or rag doll of the reptiles in power. They watch you along, they have advanced technology which gives to no privacy, that sees through walls mapped everywhere, they watch all the screens, they hide in 'Cabal DUMB Bases', and, if they are not pleased, they will forcefully persecute all of you. Everything you have and do does not matter, except, it really does, since the psychopathic needs are not of your own, they do not care and YOU need to be the one to care, you are, a true one of a natural empathic nature, and a loving person. One who umderstands a baby to a parent's arms, soo delicate and fragile... War on this planet has seperated countless, and now we know the real enemy! They call themselves "The Illuminati". I must explain that, to work a job is more pointless than having a sack of rice and being forced to pick them all out one by one and remove/identify one brown grain from it, using chopsticks, every time of 'going to work for money'. This isn't just only the malevolent reptilian aliens trying to rule over Earth and brainwash humans, they just want to completely use, change, and manipulate other humans, you have lost your body, and futhermore, the federal reserve claim to own everything that you rightfully own because: you bought it with money that they claim to own in the first place, although you worked for it, and that is still working in their 'little world' system, that denies access for benevolent E.T.s to give us free food rations to every human in poverty, whilst making the people of other planets and stars all stereotypically appear dangerous and too weird to handle, making your mind lie that loving people will give poision and not just their selfless kindness to another race. (lightwork/the light forces). I found that all the scientific research had the aim of assisting the dark side. They use what you learn and have technology that takes your thoughts. They release research relating to their agenda, and suppress cures and information that won't fuel it. For example, dangerous chemicals made in the lab are used for healing, but cannabis oil and qigong have been proven to heal. Ancient Chinese used cannabis plants, but now they are illegal, and practicioners of falun gong have been reported as jailed then killed and having their internal organs traded in the transplant industry, no matter how much these practices have promoted peaceful and moral behaviours, they get clamped down on as illegal with brutal or secret forces. David Icke said that the moon is an ET Command base, not just for benevolents but even for the reptilians. The moon landing was faked and was recording from a studio, not from out of Earth's atmosphere. There is control on the moon that can make it move it's position easily, as if by remote control. Try to gain telepathy. Get help. Research it. Live differently from now on, be more self responsible and observant. "Decalcify the Pineal gland" and "open the third eye, learn to read blindfolded" the wording might seem very difficult or new there, but please get to know your pineal gland soon. I advise that you learn qi gong for health if you wish (you can search 'qi gong heals tumour in minutes' it is a cancer cure, and assists psychic abilities, EHF, ESP) Research psychic skill and spiritual topics like it is a university degree. 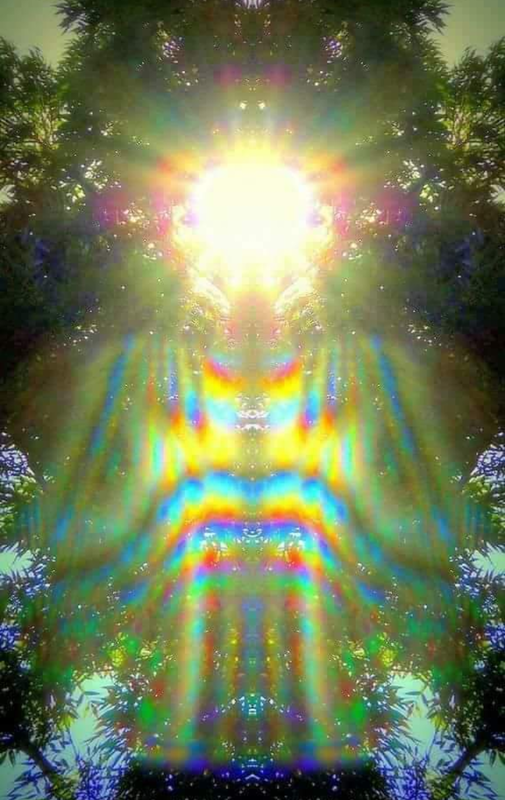 If you gain that much knowledge, such as that including learning muliple ways of seeing auras, you can't go wrong. Charities have been described as just part of it so if you are wanting to join the forces against these horrifying monsters, try other groups like 'anonymous' and 'anti-NWO'. And what about OUR natural interconnectedness? "Interconnectedness theory" is one of the Spiritual topics you can research. It's facinating to get to 'truth' with all it's complexities, it gives some ground, rather than the opposite. If you are into ETs, ask them about Vega and the trees there. Can trees walk? They know an ET answer. "Tree people" of a huge colourful forest. Imagine the roots. Connection with trees. Litterally hug and talk to them. /They/ might tell you... They use Earth/soil *to communicate*! Ask the Earth spirits, such as the 'brownies', respectfully, (they really appreciate kindness, and that's the correct name) to bless you. Tell them you want to be in connection to Earth, the soil, the Earth element, and ask to be guided to the opportunities arrising. Heavily activate thirdeye by blasting frequency and imagining open ears, total openness to the frequencies right into the brain... Then see the light tunnelling through any earth/soil.